You will add many Cheats: Unlimited Health , Unlimited Focus/Adrenaline , No Reload , Unlimited Grenades and many more. Welcome to Apocanow! This article shows the trainer of the game Warhammer 40K: Inquisitor Martyr and contains a little guide to its use in separate pages, you will also find possible solutions and tricks of the game. 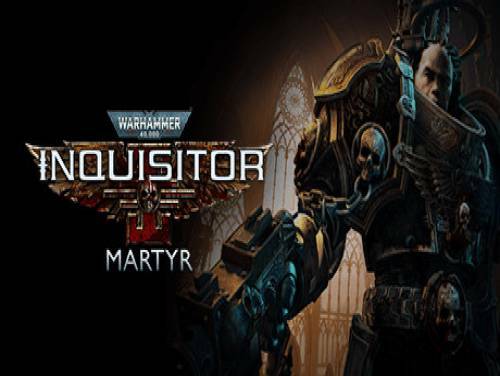 In the following page tricks of Warhammer 40K: Inquisitor Martyr you will be able to see the tricks and the codes we managed to collect for this game, thanks to them you will be able to overcome any difficulty, even at the cost of cheating a little. Enter in the field infested with Caligari and purifies the impure with the most powerful agents of the Imperium of Man. The program you are about to download was not created by Apocanow. However, we have permission to publish and publicize by the authors of the Trainer Warhammer 40K: Inquisitor Martyr Trainer - v1.3.2. The contents of the file are virus free, even if sometimes they can trigger the AV as false positive. Numpad 1: Unlimited Health - toggle on and your have unlimited health. back off once it is full. other throwable objects are unlimited. do not generate heat in most circumstances. quickly to be able to be used again.